Chances are you have probably not heard of Fez, the third largest city in Morocco. It is often overshadowed by its larger cousin; Casablanca. 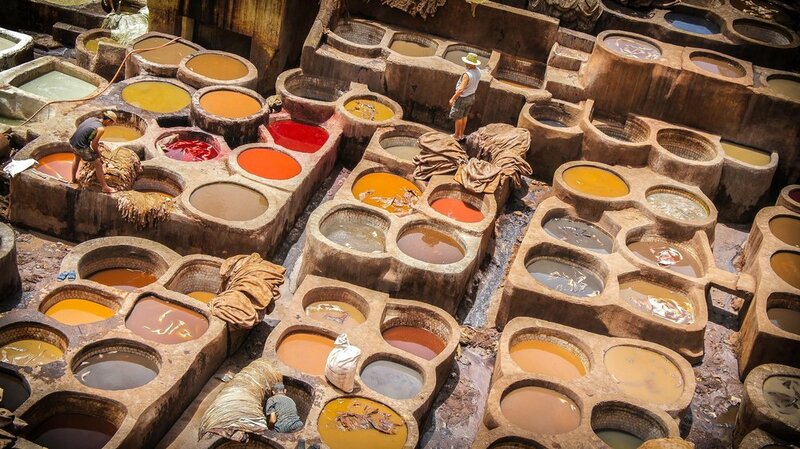 However, Fez is a city that should be on your map when you are traveling to Morocco, because it offers you some amazing sights that you may not see if you choose to bypass the city. Fez has a population of roughly one million, putting it behind Casablanca and Rabat in terms of size. However, it is actually the former capital of Morocco and is considered to be one of the four imperial cities within the country. Fez is the oldest Islamic city in the world. Located in the northern end of Morocco is houses some of the most important places in the world. First, there is Fes el Bali, which is possibly the largest medina, or outdoor market, in the world. It is also believed to be the largest contiguous car-free urban area on the planet. There is also the University of Al-Karaouine, which was founded in 859 AD, making it the oldest continuously functioning university in the world. Fez is located along the majestic Atlas Mountains, giving it a very seasonal climate. Winters are cool, while hot days fill the summer months from July to September. As time goes on, Fez is becoming a tourist destination for many who visit Morocco. This is causing a resurgence for the city with non-Moroccans restoring the houses in the city as second homes. If you are in Fez, check out the Merenid Tombs, which are next to the Merenid Hotel. The view you get from the tombs is astounding, giving you panoramic views of the medina and the city. You will even be able to see the olive trees that line the hills surrounding the city. You can also go to the Sofitel Palais Jamai Terrace, which gives you another great view of the medina as long as you buy a glass of tea while you there, which is essentially the cost of admission. There are many world-class restaurants within Fez, and you will be able to stay in a wide variety of hotels from the very cheap to the luxurious. It is important to note that since Fez is in Africa, there is often a misconception that it will be a dangerous place. Morocco is not only one of the most progressive African countries, but it is also the safest. Fez is very crowded but very safe. However, you should keep an eye on your purse or wallet because pick pockets are around, and they essentially make up the worst of the crime in the area. Con-artists can also be a problem, so just stay smart and stay safe and you will not have a problem. Even false guides will lead you astray but they are not dangerous, just a nuisance when they ask for money. Fez is a beautiful city, and one you should not ignore in your travels of Morocco. It will leave you breathless with its beauty, culture, history and friendly people. To streamline and minimize blog maintenance, I will be discontinuing maintaining the Travelnowsimply.com website (however, I will still hold the domain). I will gradually move all articles from this site to Ahmed Dawn Dot Com site. This article originally published on the above website on Aug 28, 2010.